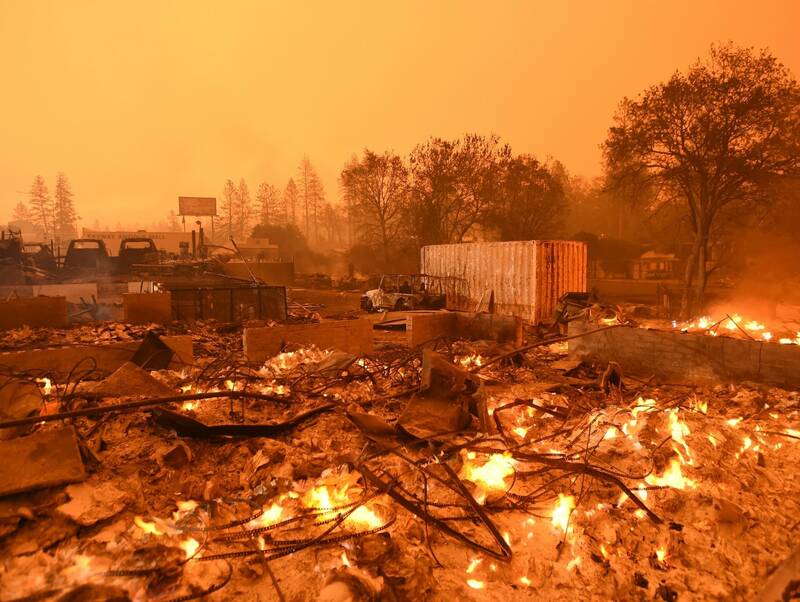 The flames destroyed more than 6,700 buildings, almost all of them homes, making it California's most destructive wildfire since record-keeping began. There were 35 people still missing. 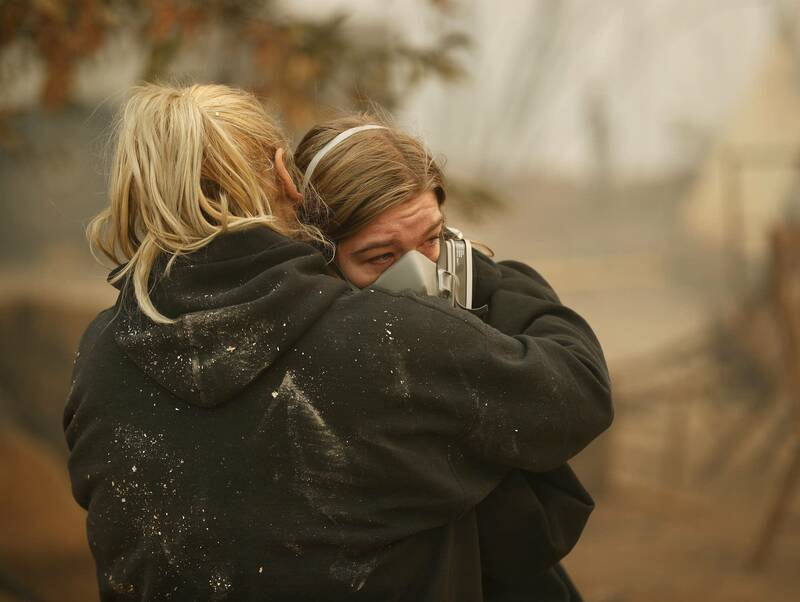 More firefighters headed to the area Saturday, with wind gusts of up to 50 miles per hour expected, raising the risk of conditions similar to those when the fire started Thursday, said Alex Hoon with the National Weather Service. The blaze grew to 156 square miles, but crews made gains and it was partially contained, officials said. He's lived in Paradise for 80 years, moving there in 1939 when he said the town had just 3,000 people and was nicknamed Poverty Ridge. The fire was not a complete surprise, he said. Five of the dead panicked when they couldn't escape by car because their route was cut off by a wall of fire, according to Gabriel Fallon, who rode out the blaze with his parents to care for the horses, cows and livestock on their 10-acre farm in Paradise. 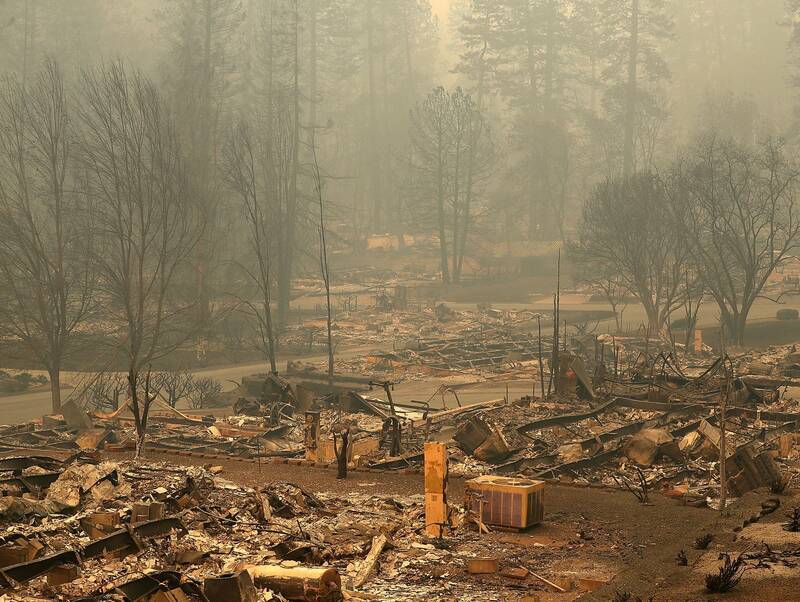 State officials put the total number of people forced from their homes by California's fires at more than 200,000. Evacuation orders included the entire city of Malibu that's home to some of Hollywood's biggest stars . President Trump issued an emergency declaration providing federal funding for fires on both ends of the state. He later threatened to withhold payments to California, claiming its forest management is "so poor." 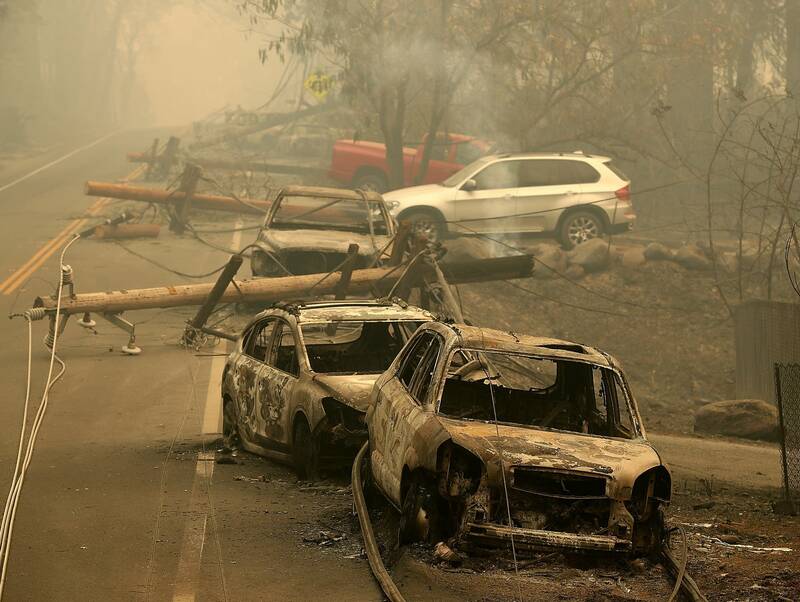 Just 100 miles north, the Carr Fire near Redding that burned this summer was the sixth-most-destructive wildfire in California history and one of the earliest. 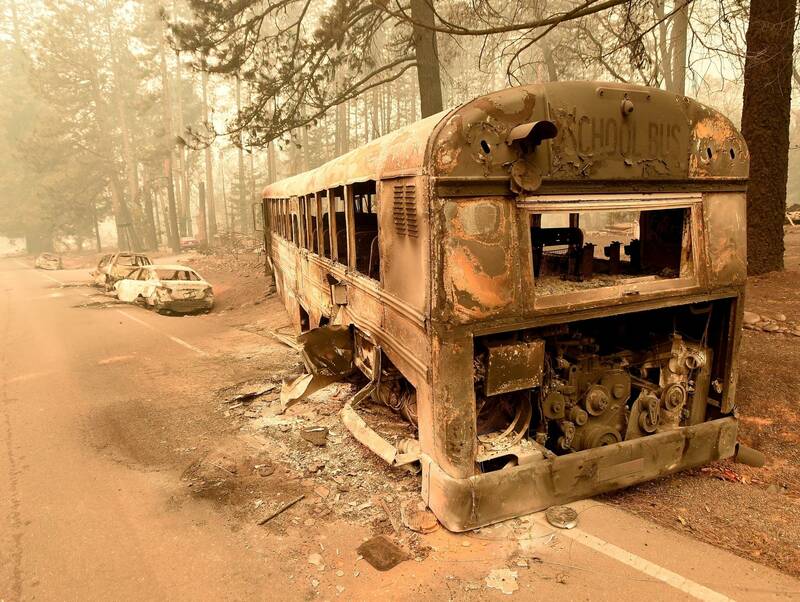 It killed eight people in July and August and burned about 1,100 homes.